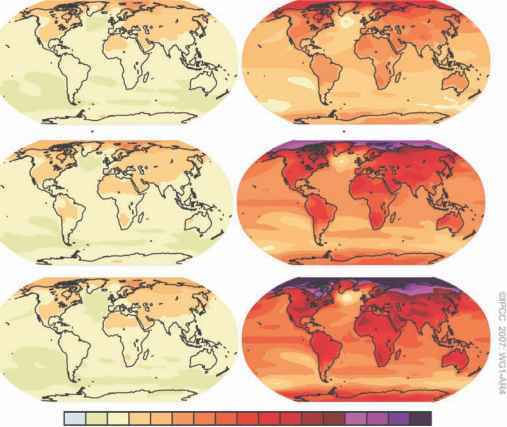 Bates, B.C., Kundzewicz, Z.W., Wu, S. and Palutikof, J.P. (2008) Climate Change and Water.Technical Paper of the Intergovernmental Panel on Climate Change (IPCC), IPCC Secretariat, Geneva, 200 pp. Bhutta, M.N. and Smedema, L.K. (2007) One hundred years of waterlogging and salinity control in the Indus valley, Pakistan: a historical review. Irrigation and Drainage 56, S81-S90. Burke, M., Miguel, E., Satyanath, S., Dykema, J. and Lobell, D. (2009) Warming increases risk of civil war in Africa. Proceedings of the National Academy of Sciences USA 106, 20670-20674. Cook, R.J. and Baker, K.F. (1983) The Nature and Practice of Biological Control of Plant Pathogens. American Phytopathological Society, St Paul, Minnesota. Evenson, R.E. and Gollin, D. (2003) Assessing the impact of the Green Revolution, 1960-2000. Science 300, 758-762. Federoff, N.V., Battist, R.N., Beachy, R.N., Cooper, P.J.M., Fischhoff, D.A., Hodges, C.N., Knauf, V.C., Lobell, D., Mazur, B.J., Molden, D., Reynolds, M.P., Ronald, P.C., Rosegrant, M.W., Sanchez, P.A., Vonshak, A. and Zhu, J.K. (2010) Rethinking agriculture for the 21st century. Science 327, 833. Food and Agriculture Organization of the United Nations (FAO) (2005) Summary of the World Food and Agricultural Statistics. FAO, Rome. Available at: http://faostat.fao.org (accessed 4 August 2009). Hobbs, P.R., Sayre, K.D. and Gupta, R.K. (2008) The role of conservation agriculture in sustainable agriculture. Philosophical Transactions of Royal Society B (UK) 363, 543-555. Intergovernmental Panel on Climate Change (IPCC) (2009) The Intergovernmental Panel on Climate Change. Available at: http://www.ipcc. ch (accessed 22 September 2009). Lipton, M. and Longhurst, R. (1989) New Seeds and Poor People. Routledge, London. Ortiz, R. (2008) Crop genetic engineering under global climate change. Annals of Arid Zone 47, 1-12. United Nations Population Division Department of Economic and Social Affairs (DoEaSA) (2009) World Population Prospects: the 2008 Revision. Available at: http://esa.un.org/unpp (accessed 3 August 2009). Verhulst, N., Govaerts, B., Verachtert, E., Castellanos-Navarrete, A., Mezzalama, M., Wall, P.C., Chocobar, A., Deckers, J. and Sayre, K.D. (2010) Conservation agriculture, improving soil quality for sustainable production systems? In: Lal, R. and Stewart, B.A. (eds) Food Security and Soil Quality. CRC Press, Boca Raton, Florida. Weller, D.M., Raaijmakers, J.M., Gardener, B.B. and Thomashow, L.S. (2002) Microbial populations responsible for specific suppression to plant pathogens. Annual Review of Phytopathology 40, 309-348. Zhang, D.D., Brecke, P., Lee, H.F., He, Y.Q. and Zhang, J. (2007) Global climate change, war and population decline in recent human history. Proceedings of the National Academy of Sciences USA 104, 19214-19219.